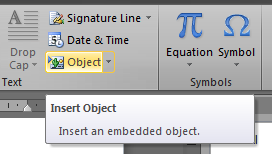 One of the more serious limitations in Microsoft Word concerns the problem of putting anything more advanced than text and other in-line objects inside a box. This is indeed a major limitation. Fortunately, there is a decent workaround. 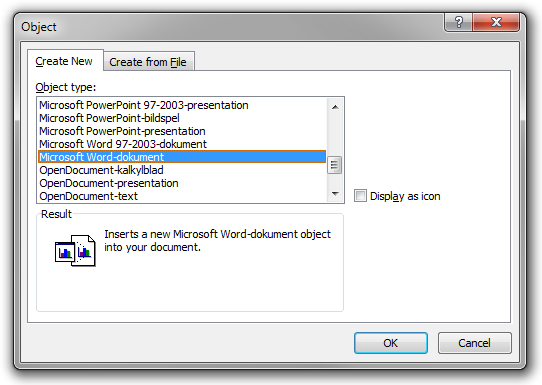 Simply insert a new Microsoft Word document as an OLE object. Since OLE objects are inline objects, this will work. In addition, the object will be rendered as vector graphics and the background will be transparent, so the visual result will be perfect.